How Is Junk King Minneapolis Doing? When you hire the right people, a job gets done smoothly. Junk King knows this and that’s why they start by hiring workers who are licensed, bonded and insured. That sets them apart from a lot of other so-called professionals. You can always trust the Junk King crews. 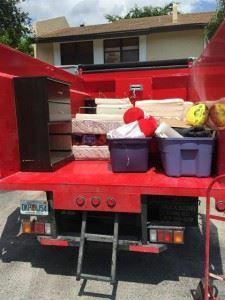 Remember when you hire Junk King, you’re actually hiring two movers in a truck. If your job is a bit larger, then you can count on additional crews and trucks to get the job done in a single session. If you need junk removal fast, don’t hesitate: give that job to Junk King Minneapolis today. This entry was posted in Minneapolis Junk Removal and tagged clutter, Junk King, junk removal on September 30, 2017 by Junk King. Last updated October 1, 2017 .